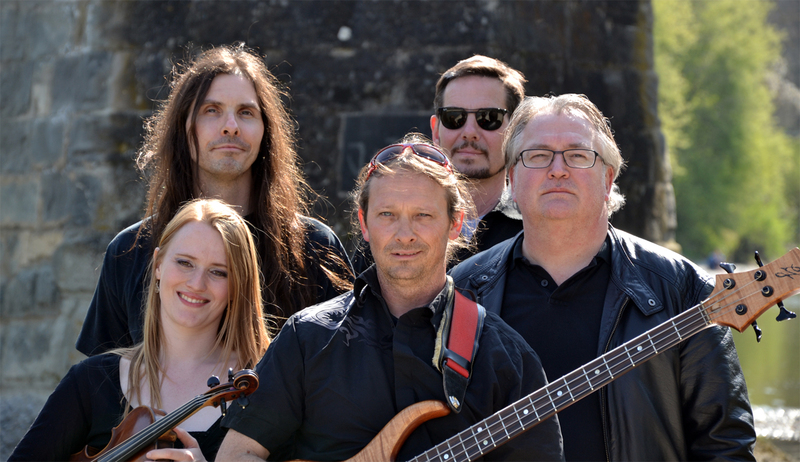 Bordered by three countries the area of Lake Constance in Switzerland is not only one of the most beautiful spots in Europe but also home to one of Europe’s hardest working celtic bands. Beyond The Fields were formed in 1998 by Swiss singer-songwriter Andre Bollier. Within a year the band had released their first record, a 3 track CD of original numbers titled ‘Home’. And that my friends was that. 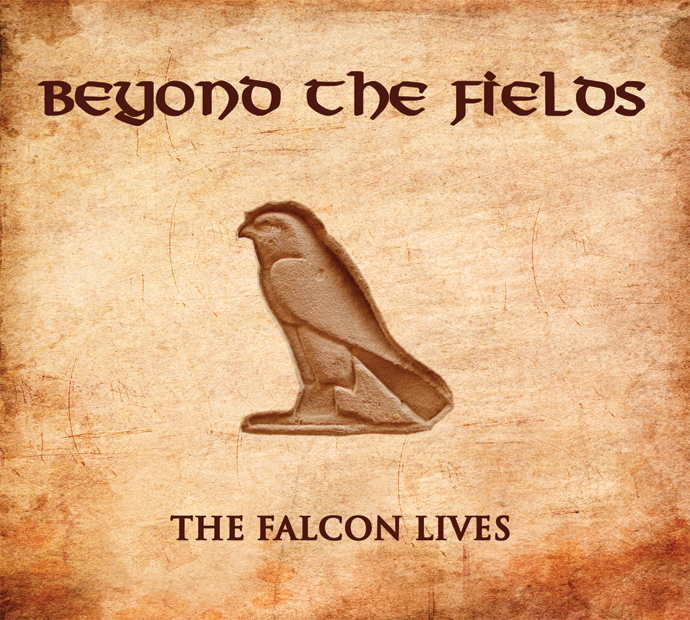 For the next decade or so Beyond The Fields continued to tour and play gigs until only after being harassed by fans for some new recordings they finally buckled and have come up with ‘The Falcon Lives’ only 15 years after that single! The Falcon Lives’ was produced by the bands drummer Eddy Sloof and I have to say that the mix is great. All the various instruments are as clear as day and all combine perfectly, capturing the live sound of the band accurately. Coming in at over 45 minutes long the album is great value and eleven of the twelve songs are the bands own compositions. That other track ‘Blue Murder’ was written by Alistair Hulett, Scots born singer of Aussie celtic-punk legends Roaring Jack. Sadly Alistair passed away back in 2010 but I’m sure he’s up there smiling proudly away at this version. ‘Blue Murder’ is the aforementioned cover of Alistair Hulett and tells of moving to western Australia to work down the Wittenoom mine digging blue asbestos where everyday the bosses get away with the ‘Blue Murder’ of the poor sods who worked the pit. A beautifully played track with the drums keeping the beat as Andre repeats the simple but effective lines of the song. ‘Dark Waters’ is another black song but ultimately the message is of survival. ‘Beyond The Fields’ has a celtic-rock feel to it with once again Eva’s fiddle soaring high over the music. Title track ‘The Falcon Lives’ is a slower track with great heartfelt lyrics of a long gone friend that bursts into life before dying down again. ‘Home’ is a re-recording of that early track with great mandolin playing from German born Uwe and is the simple tale of returning home after years away. ‘I Wonder If You’re The one (Guess I’ll Never Know)’ is another dark love story. The band combine perfect on this track with a simple tune with the emphasis on the great lyrics. ‘All I Really Need’ keeps up the darkness before ‘Any Time’ brings the album to a close with another of the album’s standout tracks. A big sound again with again the band combining well and is a great way to end things. There really is some amazing music out there and I find it really heartening that the celtic-punk scene is producing such diverse music. Even though much more to the folkier side of things there’s plenty here to keep everyone happy. Elements of American folk sit side by side with Irish traditional music and if I had one quibble it would be that I would have liked to hear a bit of a Swiss influence in there too. Andre’s vocal style is very distinctive and if anything turns Beyond The Fields into much more of a celtic-punk band than they would be otherwise. A word here on Andre’s song writing and I have to say how refreshing it is to hear a celtic album that steers clear of all the usual celtic-punk subjects and instead opts for a different approach. Although there’s no obvious celtic themes within the songs that idea of story telling is very much there and I would recommend getting the actual CD rather than the download as those lyrics will bear repeated reading. The actual CD is an amazing digipak with an incredible 20 page booklet with band photos and the lyrics. Great stores but I do worry that Andre’s heart must have been broken a few times to keep coming up with this!